This year I’m going to try planting Long Gourds. I understand getting them to germinate is no easy feat. First I just nipped off the very tip of the seed and soaked it for 24 hours although I read you can soak for 8 hours. Then this morning I put the seeds between damp paper towels and in a ziploc baggie and put them on my heating mat to keep very warm. In a few days they will put out a root and I will put them in pots. Then they should germinate. Hopefully all will go to plan! 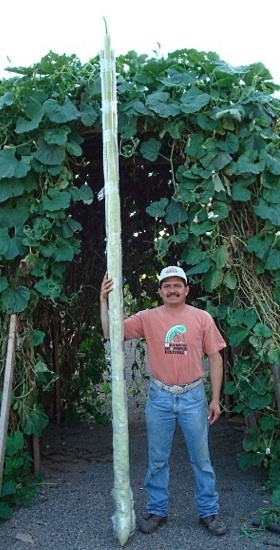 This entry was posted in general, Giant Long Gourd and tagged growing long gourds, long gourds.